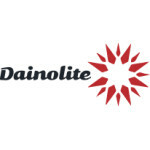 Founded in 1987, Dainolite has become a leader in modern and contemporary lighting in North America. With a wide range of products, we have a solution to all your lighting needs. We pride ourselves on our innovative designs and being a trend setters in today's lighting market. Dainolite has been making lamp shades under its trusted Micheline brand name for over 40 years. We blend modern computerization with old world craftsmanship in our custom shade department. We can provide one shade or one hundred shades of any size, shape, color and material. Just send us your drawings and let us work with you to design the right product for you. Sierra Copper is the premier manufacturer of copper sinks for the bar, bath, kitchen and everything else as well as accessories and care items. 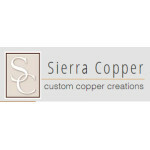 Sierra Copper takes pride in our custom copper work and the variety of options we are able to offer our customers since we own our factory and are in complete control of the entire process. Gravity takes sharp minds to design beautiful homes and even sharper minds to create ravishing bath fittings. 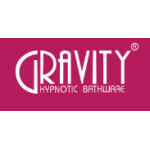 Gravity brings to you an exquisite range of Bath Fittings, Accessories & Essentials for you to indulge and luxuriate in the beautiful world that is exclusively yours. A perfect example of timeless classic blending with the modem styling Gravity gives a new looks to your bathroom. Manufactured and supply under stringent quality controls. Gravity ensures high class & durability of its products. Hassle free function and superb chrome finish makes, Gravity a thing to joy for. Fitted with International Standard raw materials especially Internal Fittings & Rubber Washers to give years of smooth and tension free working. On every step from Casting to Chrome Finish & Packaging, strict quality control is employed for delivering valued products. Innovation is the hallmark of Gravity bath fittings, its newly designed example for this. Bathware products are not created equal. 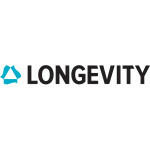 The Longevity Acrylics lifetime warranty is a commitment to you that our products – made of 100% cast acrylic – are more rigid, more durable, and will last longer than alternatives. We offer this warranty because the quality of what we make is unmatched. Just the Way You Want It Because we manufacture our own designs in Ontario, Canada, we can provide customization, fast turnaround, and high-quality workmanship. Whatever your bathware need, we can make it happen: choose the position of grab rails; add a seat; add lights and therapeutic spa systems; find a special design for aging-at-home or custom care. The 100% Acrylic Difference Bathware can be manufactured in many ways, using a variety of materials – fiberglass, steel, extruded veneers. Longevity Acrylics bathware is superior to all of these because it is molded from 100% cast acrylic backed with a unique blend of fibreglass resin that’s smooth to the touch. This combination makes our products rigid and durable against cracks and chips. Scratches can be buffed out to the product’s original sheen. The Canadian Advantage We design, manufacture, and service our customers entirely from Canada. You’ll appreciate the fast turnaround on all orders, exceptional customer service, and unparalleled after-sales support. Made-in-Canada also means that we are in complete control of the quality of every aspect of our products, including the after-sale support. Our mission is to open the gate of world class manufacturing. From Europe, Asia, North and South America to around the world, we hand pick our factories to satisfy the unique demands of our projects and clientele. We pride ourselves in being your partner from inception to creation. We are passionate about giving back and imparting our knowledge on future generations. We operate around three core principles—education, engagement, and experience. 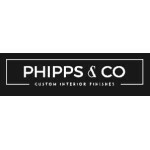 As part of our mission to give back, Phipps & Co. is involved in numerous charities and mentorship programs, for example, a Haitian housing initiative—to provide self-contained affordable housing to those in need, and the Pillsbury Institute for Hospitality Entrepreneurship at Cornell University. 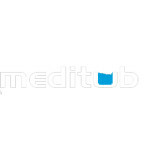 Meditub prides itself on being a top quality walk-in tub provider. Our walk-in bathtubs are manufactured with perfection for your comfort. Meditub products are known for their durability. Meditub walkin bathtubs go through an extensive quality control process, which guarantees them as one of the best made, and top rated walk-in bathtubs on the US market today. Meditub walk-in bathtubs meet all plumbing and electrical licensing required in the United States. Unlike many imported tubs, our walk-in tubs meet North American quality standards and regulations. There have been so many instances where someone in need of a walk-in tub has purchased one of the many foreign walk-in bathtubs on the market today and have been unable to install it in their homes because it does not meet the required quality standards for the proper installation licensing. This is an unfortunate situation as most often, those looking for a walk-in bathtub are in need of a safe and comfortable bathing solution. Meditub walk-in bathtubs provide that solution. Our state of the art walk-in bathtubs allow you to feel comfortable and safe while enjoying a relaxing bath or shower. It goes without say that as we age, some of our everyday activities like getting in and out of a bathtub become more difficult. Healthcare professionals at Meditub understand the aging process as well as the natural changes that follow it. This is why we put so much care and time in providing you with a high quality affordable walk-in bathtub that is easy to get in and out of and includes additional safety measures such as anti-slip floors, grab bars, and a very low step in. Meditub does not simply supply you with a magnificent walk-in bath tub for your home, but also helps you through the process of finding the right choice of walk-in bathtub for you. While the aging process tends to follow similar patterns for most of us, we are still individuals, with specific needs and wants as well as distinct bathrooms. For this reason we offer a great variety of walk-in bathtubs designed to meet your very specific needs and preferences. Meditub will help you find the walk-in tub made just for you! The process of selecting a walk-in tub is most likely a new experience for most of us. Without the help of Meditub, selecting your walk-in tub can sometimes be a difficult or overwhelming process. A Meditub representative is here to help you every step of the way. 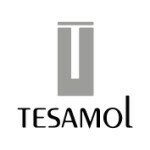 We are Tesamol Units, and we invite you to find out more about our new generation of bathroom products, carefully designed and developed with the technology of graphene. Tesamol Units has 10 years of experience in the bathroom industry, and a qualified team of professionals and investigators, always committed to innovation. Thanks to the collaboration of Graphenano Smart Materials, Tesamol Units has developed new products, in order to ensure the highest quality standards for their customers. Tesamol Units manufactures high quality shower trays, wall cladding and worktops. Also, the new evo series offers new customization options for your bathroom which make it unique. Founded in 1995, Oceania has been working for nearly 20 years to create unique products and superior quality environments for home spas. Located within the Chaudière-Appalaches region in Thetford Mines, Quebec, Canada, its manufacturing facilities comprise more than 50,000 square feet. Oceania promotes the design, lifestyle and sustainability values of today that create a natural fit with the home environments of trendsetters and the traditionally minded alike. The Oceania team of over a hundred professionals—designers, engineers, thermoforming specialists and managers—develops premium products that reflect a high degree of creative genius and stand out for their visionary features, setting the highest standards for excellence. Inspired to create the most beautiful products in the industry, Oceania has regularly been recognized for the quality of its designs with such honors as the Montreal SIDIM International Design Show’s Excellence Award and it was nominated in 2014 as "Best of KBIS" for its amazing new Optimale concept. 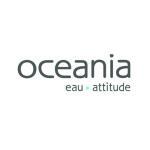 Oceania products are marketed throughout Quebec, Canada and the United States by partners consisting of independent showrooms and major local and national distributors. Established in 2008, the AXENT Group is a leading manufacturer of sanitary technology and a global supplier of shower toilets. 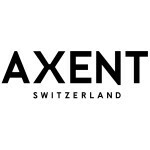 To strengthen customer relations and extend its global reach, AXENT opened an office in the US and developed a European base in Switzerland. AXENT's product portfolio includes leading-edge shower toilets, high-quality sanitary ware, bathroom furniture and bathtubs as well as innovative performance technology for bathroom products. The company's key to success is a combination of industry knowledge, in-house expertise and continuous research into new technologies. With 300 engineers in its research and development center, alongside 1500 employees, the AXENT Group is well positioned to achieve its vision to become the world's most innovative and reliable provider of sanitary technology. The year was 1990, and Dave Samuel had just graduated from high school. His graduation present was a trip with his father to any city in the world, and Dave chose Tokyo. The two Samuel men took off for Japan that summer, and spent their time exploring the magic that is Tokyo – including its futuristic technology and haute cuisine. On the last night of their trip, Dave excused himself from the table at one of Tokyo’s finest restaurants and made his way to the restroom. Inside he found what looked like a toilet crossed with a computer... it lit up and beeped and had buttons all over it. Being a “techie,” (he was headed to MIT in the fall), Dave immediately started trying to figure out how the thing worked... the only problem was that he couldn’t read Japanese. His inability to read what the buttons said, combined with an inability to satisfy his technological curiosity, resulted in him soaking the front of his dress pants with a toilet seat bidet. On the way back to the table he had a soaking wet crotch, a bright red face... and an idea. Over the next few years, Dave and his pal Scott Pinizotto (who lived in Tokyo, coincidentally enough) did a ton of market research. It turned out that electronic bidet toilet seats had a huge market presence in Japan – almost every business had one, and nearly as many households did, too. But a bidet was a totally foreign concept to Americans. Americans had long followed Japanese tech trends, however, and Dave and Scott banked on them continuing to do so. Their main goal became to combine the cutting-edge technology with a sleek design that would complement any bathroom and be easy for the customer to install. With this goal, they set up shop in Scott’s San Francisco apartment, found a manufacturer that would make bidet seats to their exacting specifications, and in 2003 Brondell Inc. was formed. After running into Mark Cuban at a party and pitching him on Brondell’s vision, Dave secured the investment that would put the company on the map. 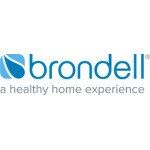 Brondell Inc. is now headquartered at 1159 Howard Street in San Francisco, and has enjoyed a steady growth each year. Our goal has stayed the same: to continue as a developer of innovative, high-quality, healthy home products dedicated to improving daily living one room at a time. The globally operating Geberit Group is a European leader in the field of sanitary products. Geberit operates as an integrated group with a very strong local presence in most European countries, providing unique added value when it comes to sanitary technology and bathroom ceramics. The production network encompasses 35 production facilities, of which 6 are located overseas. The Group is headquartered in Rapperswil-Jona, Switzerland. With more than 12,000 employees in over 40 countries, Geberit generates net sales of CHF 2.9 billion. 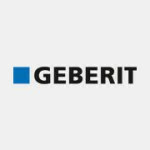 The Geberit shares are listed on the SIX Swiss Exchange; since 2012, the Geberit share has been included in the SMI (Swiss Market Index). 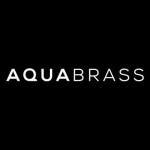 You will find Aquabrass in homes across North America and throughout the world. But you may find us most at home at our headquarters in Montreal. A city where European savoir-faire meets North American practicality, Montreal is unconventional, audacious, exhilarating. And our natural habitat. Our bathroom and kitchen solutions offer discerning buyers exceptional quality, of course; our expertise and craftsmanship are second to none. But the flair we add to functionality is what truly sets us apart. Bathroom and kitchen faucet collections, full body shower systems with steam, chromatherapy and aromatherapy, free-standing bathtubs, vanities, washbasins and accessories… all of the products we manufacture feature high-performance materials and superb functionality. Most are designed for quick and easy installation in new or existing bathrooms of virtually any size or style. That’s our North American know-how at work. Our customers also experience our passion for design through our exclusive creations, many of them made to measure. We do our own plating. We commission artists. We stop at nothing to ensure that every product we manufacture thoroughly delights the customer and authentically represents Aquabrass. Acryline is a privately owned organization that specializes in warm air system baths, ADA, handicapped, Assisted Living and residential acrylic fixtures. Our corporate head office and manufacturing plant are located just west of Quebec city in Lyster, Quebec, Canada. Originally formed in 1972, the company enjoys an expanding market presence throughout North America and is best known for our ability to customize and meet the needs of the design team and owner from the private home to major Medical centers and Universities. We are experts in meeting the acrylic needs of our clients. The company enjoys growing brand awareness throughout North America for exceptional products dedicated to the wellness of the body, mind and soul, customer service and quality. As a business we must measure ourselves by revenue and profitability, but as an organization of people we measure ourselves by the reaction of those who actually use our products. We exist for and because of them and will never lose sight of that simple reality. To all of you who are enjoying our bath we offer our humble gratitude. Please know that you have our steadfast commitment to your personal satisfaction. Ella’s Bubbles is a Chicago-based (OEM) manufacturer of acrylic walk in tubs and a nationally distributed manufacturer of private label accessible shower stalls and gel coat walk in tubs. We have spearheaded acrylic walk in tub development, production, and distribution in North America since 2005. Ella’s Bubbles offers friendly, personalized customer support from our Chicago office, providing fast and effective solutions. We love reading the testimonials from our satisfied customers, who recommend our top customer service, and highest quality acrylic walk in tubs. We invite you to become the next Ella’s Bubbles Walk In Tub customer! From its humble beginnings to a technological force within residential and commercial design, Robern remains the answer for designers, architects and consumers seeking out the finest in modern, sophisticated cabinetry, vanities, mirrors and lighting. 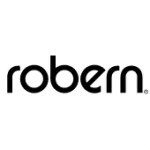 Now in its 50th year, Robern has elevated everyday routines to the extraordinary continuing to set the luxury standard with its unparalleled craftsmanship, cutting edge innovation, thoughtful approach to design and uncompromising quality. With over 40 years of experience, Mirolin has evolved over generations to become a Canadian bath industry leader. With an unwavering reputation of exceeding expectations; we are committed to responsible manufacturing, continuous improvement and innovation. Our goal is to continue to adhere to the highest standards and provide our valued customers with the most impressive, overall experience. Mirolin products will be part of your day-to-day life for years to come, which is why we are constantly striving to offer premium innovative bath and shower products. Mirolin acrylic products deliver quality and durability with trend setting designs that offer great value for generations of enjoyment. 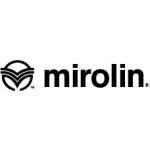 The Mirolin® brand has a solid reputation for enduring quality, innovation and value through an extensive and complete product assortment. Our one piece and multi piece designs offer a bathing fixture solution to meet any home renovation or new construction application. 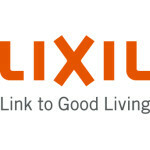 LIXIL makes pioneering water and housing products that make better homes a reality for everyone, everywhere. A better home is made up of surprisingly simple things – baths to escape in after a long day; kitchens that unleash creativity; toilets that provide cleanliness and comfort; doors and windows that connect you with the world outside; showers and faucets to experience water in new ways; interiors and exteriors that bring spaces to life. Born in 2011 through a merger of five of Japan's most successful building materials and housing companies, we draw on our Japanese heritage to create world-leading technology and innovate to make high quality products that transform homes. Today, we're a global enterprise with over 70,000 employees in more than 150 countries worldwide, having expanded internationally by acquiring some of the most trusted names in our industry, including GROHE and American Standard. But the LIXIL difference isn't what we do or where we do it, it is how we do it. We combine meaningful design, an entrepreneurial spirit, a dedication to improving accessibility for all, and responsible business growth to make things that matter – to people, to communities, and to the world we live in. We are proud that our products touch the lives of more than a billion people every day but believe we have the potential to do so much more. 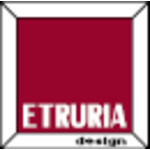 Antica Fornace is at the origin of ETRURIA design. It is not only the former name of our company, but a concept of the product and production that blends inextricably with craftsmanship, skill, and the most classic ceramic tradition. This is a concept that we have not forgotten, and over the years it has made us aware of owning two of the key variables of design: shape and colour. A new vision of the company and the product that is in keeping with a logic of image and design expertise, at once global and individualistic. The image of an interior project itself becomes “product”, simple and essential, highlighting the pieces in their physicality. Working on this idea over the years, we have expanded the product range to meet the most modern design project needs, offering a wide variety of accessories. This was the origin of ETRURIA design, where the term “design” is intended to represent its intrinsic concept of unique and functional beauty, but also a vision of the world and work that develops through the wider and freer use of shapes, colours and surfaces combined into a large and holistic project. Homeward Bath provides luxurious shower and steam systems, superior quality walk-in and easy access bathtubs at affordable prices. 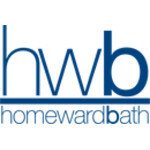 Homeward Bath is committed to offering you the most advanced state-of-the-art bathroom products of unmatched quality and workmanship. Founded in 2004 as Steam Planet Corp, Homeward Bath is in the business of new product development and manufacturing. Steam showers, bathtubs and other bathroom equipment are our prime line of high-end products we are bringing straight to the consumer. Our key strengths of detailed and worry-free customer service, strong management team, and innovative marketing have enabled Homeward Bath to expand throughout North America. We are a leader in Fine Decorative Hardware, Bath Accessories, Mirrors, and Mirror Cabinets. Creations by Alno, offers cutting edge designs, dedication to quality, and superior craftsmanship. Creations by Alno, offers cutting edge designs, dedication to quality, and superior craftsmanship. We are a leader in Fine Decorative Hardware, Bath Accessories, Mirrors, and Mirror Cabinets. 30 Years of romancing a changing world… BathLine owes its origin to a dynamic startup operation in the early seventies just as the World was beginning to change. An initiative by a group of IIT Graduated Technocrats who wanted India to catch up with the World standards in bathroom engineering. This was destined to be the forerunner of excellence. Aquaplus enjoys the collective passion of three generations since it started as a Faucets & Showers company to become a legend in bathroom engineering. Aquaplus has always been the most innovative company embracing the latest Technology from wherever in the World and adapting it to work in Indian conditions. Aquaplus is the only Indian company that has not only captured a large segment of home markets but also has caught the imagination of International buyers. The 1990s saw Aquaplus breaking the quality barriers and responding to the highly demanding markets of Europe. What followed was a coup of sorts – the Germans and the English were importing from Aquaplus who became the undisputed leaders by value addition and competitive positioning in the Bathroom Industry across the World. The Bathroom Industry also saw technology transfers and collaborative manufacturing in India thereby placing Aquaplus in an elite club of top – end Quality and Exclusive design. 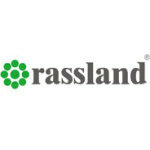 The range also came to include speciality products such as Bathtubs, Jacuzzis and Rain Showers. Today BathLine is one of the major players offering total bathroom solutions with a special accent on technology and service. 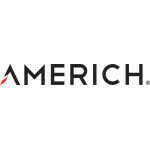 Americh specializes in designing innovative, European influenced bathtubs & shower bases. We offer a multitude of timeless collections for you. Americh has been known for innovative ideas and a flair for stimulating the imaginations of designers and home enthusiasts alike. At its very heart, Americh is about facilitating the transformation of an ordinary bathroom into a personal refuge of serenity and rejuvenation. Saint Gobain Glass India is one of the leading glass manufacturer in india started its venture in India in 1996 by acquiring a majority stake of Gridwell Norton. Later in 2000 it started its own glass manufacturing unit at Sriperumbudur 40 km from Chennai. Today there are nine companies in India, offering a variety of engineered materials. The companies are: Grindwell Norton Saint-Gobain Crystals & Detectors India Saint-Gobain Refractories India Saint-Gobain Weber India Saint-Gobain Seva Engineering India India Gypsum Saint-Gobain Sekurit India Saint-Gobain Glass India Saint Gobain Glass India started manufacturing glass with its one float line then in 2005 second float line was installed. Now Saint Gobain Glass India manufactures 1500 ton of international quality of float glass per day. The expanded facility has become the single largest integrated glass complex in the Saint-Gobain family to be set up in recent years. 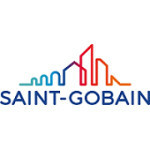 It is also the largest investment in a single location globally by Saint-Gobain. The new World Glass Complex at SGGI is spread over 177 acres of land and houses two float glass plants, two automotive processing lines, a 5 million sq metres state-of-the-art Mirror Processing Line, a state-of-the-art Magnetron Coater facility and a mega Roof Water Harvesting reservoir of a 58 million litre capacity. Today, SGGI is the leader in the Indian Flat Glass Industry. Its goal is to provide complete glass solutions to tomorrow's evolving needs. As a company that constantly looks at opportunities to reinvent itself, SGGI is up to the challenge of providing for changing needs and meeting the greater demands of the designers and the consumers.